Magical Crops is a huge collection of new plants as well as special agricultural mechanisms and tools. 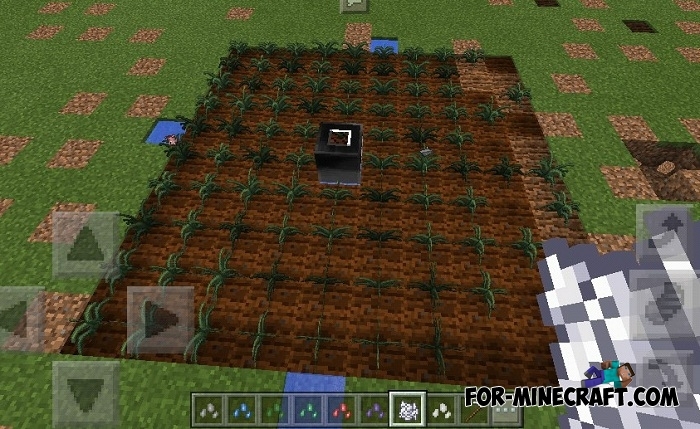 If you want to develop your farm and grow not only carrots and potatoes then try this mod. 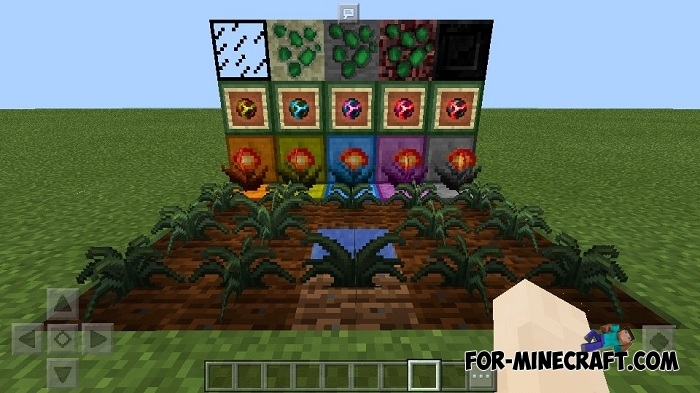 In fact, it's Magical Crops mod for Minecraft Java and now, thanks to the efforts of several mod makers, the mod was successfully ported to Minecraft PE (Bedrock Edition). Here is a short description of what is inside of this modification. Plants and seeds (there are a lot of them) are divided into different groups and can give you a harvest with proper care. 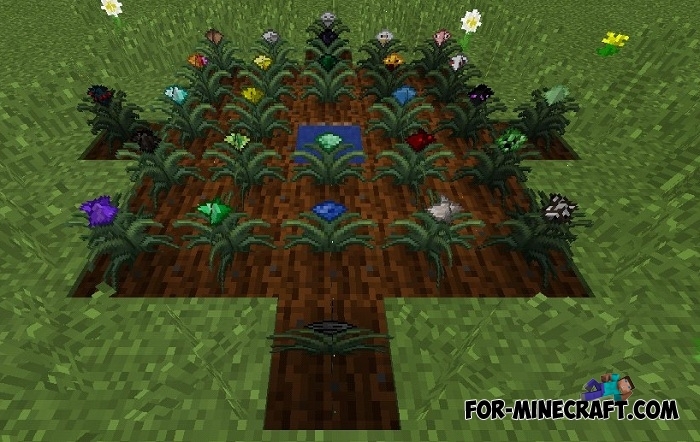 If you take care of your crops, then the plants themselves will grow very quickly and yield. If you are lazy and do not want to water the plants yourself then build a watering machine, it will automatically irrigate the nearest plants and eventually there will be growth. There are also mechanisms for harvesting directly from the fields, which is very convenient when you are absent. There is a more complex group of plants called magical cultures that require essences for crafting. 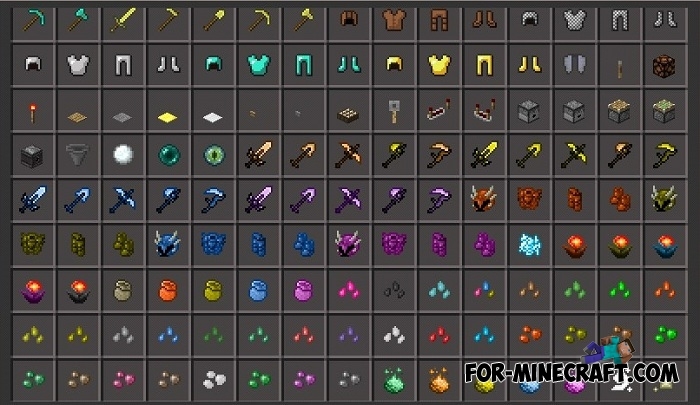 The mod contains a lot of new items, including new weapons and armor, not to mention those things that are involved in the production of crops. 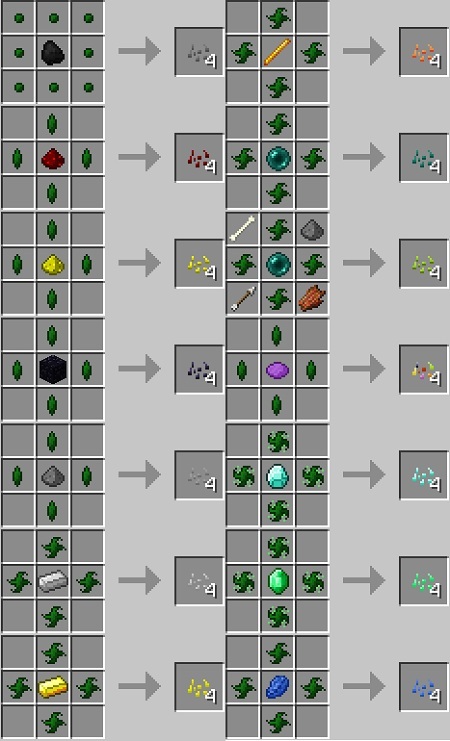 Below are the crafting recipes (not all yet). 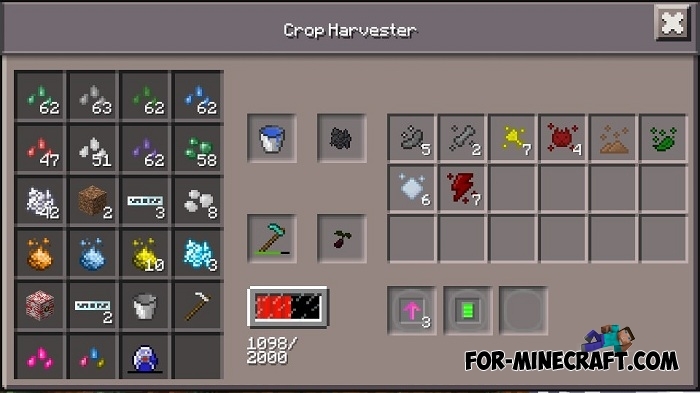 Important: The Magical Crops Mod improves and its creator needs your help, report the bugs you found. 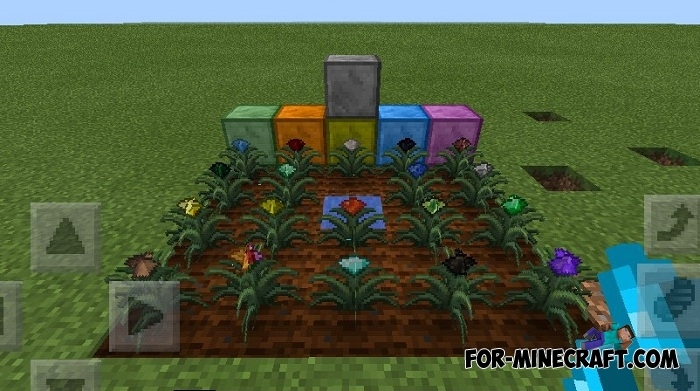 Magical Crops PE is perfectly compatible with Pam's Harvest Craft PE, we advise you to install it in addition. 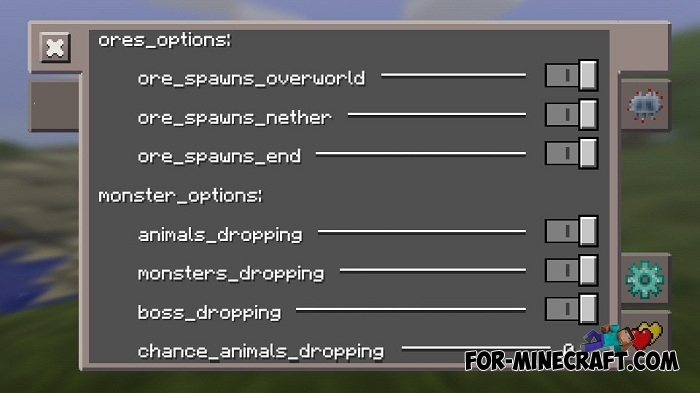 How to install the Magical Crops mod? 1. The latest version of InnerCore is needed. 2. 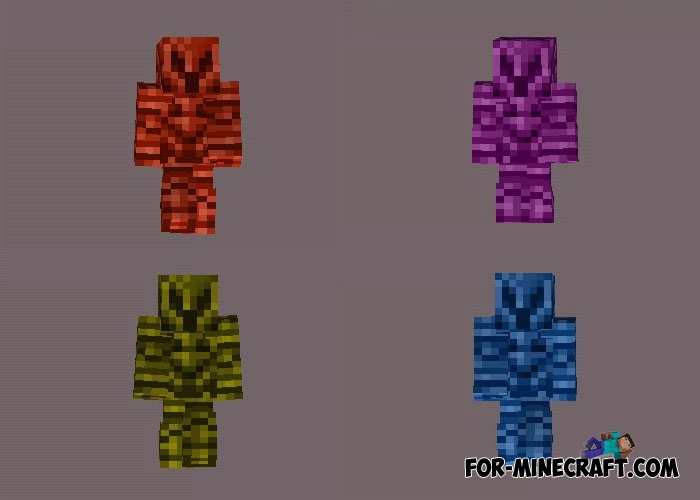 Move the "magical_cropsPE" folder here: games/com.mojang/mods. The recipe for crafting the tier 1 seed is error! Pls fix it!